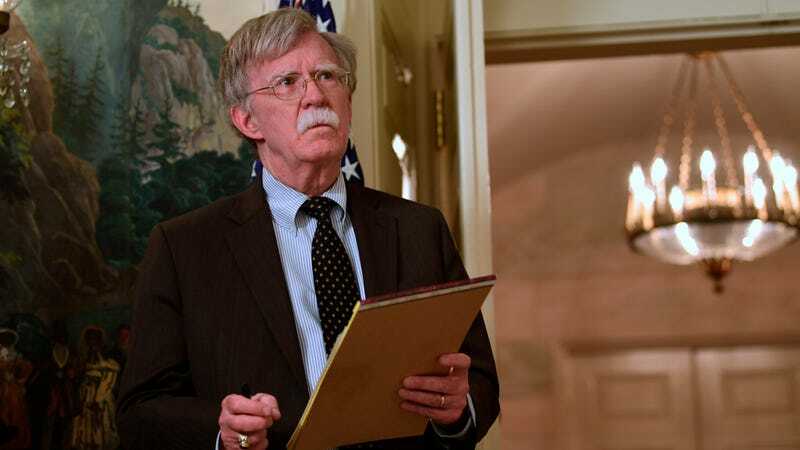 Newly minted National Security Adviser and possible evil mustache mind-controlling a man’s body John Bolton thinks that cybersecurity issues are a big waste of time, according to a Wednesday report in Politico, and is pushing to eliminate the top White House job dealing with it. Politico writes that Bolton wants to “abolish the role of special assistant to the president and cybersecurity coordinator,” which is currently held by departing adviser Rob Joyce. That’s despite the fact that pretty much everyone has been speculating about the cybersecurity threat posed by nefarious foreign hackers (specifically Russia and China, though the report also notes concerns about Iran in the wake of the apparent death of the US-Iran nuclear deal). Cybersecurity experts and former National Security Council officials expressed alarm at the idea of eliminating the job, saying it would undo much of the progress the U.S. has made on cyber efforts and send the wrong message about U.S. priorities in the digital domain. The coordinator — a post created at the beginning of the Obama administration — leads a team of NSC staffers who manage federal cyber strategy on everything from election security to encryption policies to digital warfare. “With no one at the helm at the White House to manage this process, I worry about which countries will step in,” she said. In the lack of a top role, Bolton deputy Mira Ricardel may simply pick up the job in her spare time, though some former officials “expressed concern” that it could become the purview of Josh Steinman, a National Security Council cyber official who had limited experience on the issue before joining Donald Trump’s administration. According to one source interviewed by Politico, Bolton is eliminating the job because “He’s not interested in it. He doesn’t see the point in it. There’s a serious concern on the [NSC] right now, particularly the [cyber team], of what the fate of their directorate is moving forward.” One might also speculate that Trump, who has faced relentless speculation and mounting pressure from federal investigators over his campaign’s ties to Russian agents who allegedly mounted widespread digital disinformation and interference campaigns before the 2016 elections, might have a personal interest in de-emphasizing the whole mess. However, the point may be to de-emphasize the civilian element of cybersecurity in favor of that “muscular” (read: military) approach. Megan Stifel, a former NSC cyber director, told Politico that in the absence of a top-level role coordinating federal agencies, the agencies will return to competing for influence and favor and the ultimate victor could be the military’s US Cyber Command. In other words, this could end up being sort of like when the White House grew tired of having to come up with coherent strategies for the US’ many ongoing wars and bombing campaigns, so just gave free reign to the Pentagon to decide how to wage them.